The kitchen is one of the places the majority of us spend the most time at in our home. It can seem like a challenge to keep it neat and clean as we rush through daily, busy lives. 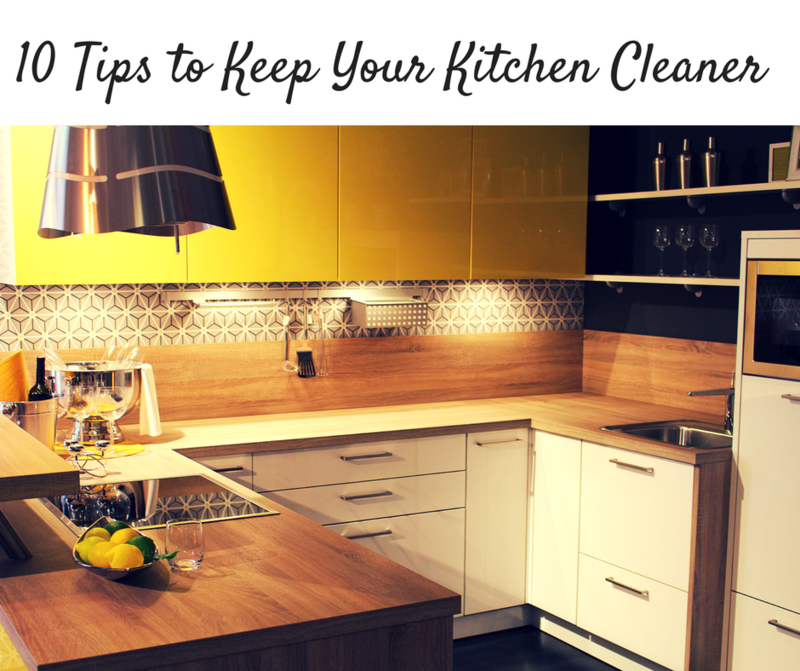 There are shortcuts we can take and habits we can develop to keep our kitchen cleaner. After you’ve finished using a dish or any other kitchen utensil, stop right there before placing it on the counter or dropping it in the sink. Wash, dry it and put it back in the cabinet. Make it a habit for you and your family. Keep a handy sponge or towel for to easily and quickly wipe down spills or messes. Not only do you want to keep your kitchen looking pic and span, a pleasant aroma will add more of a clean feeling to the area. Try a lemon scented, toxic free multi-surface cleaner or try making your own. You can make your own with a mix of vinegar, baking soda and natural essential oils with fresh scents such as lemon, eucalyptus, lavender or any other citrus scent. Designate an area for easy access of cleaning supplies, like under your kitchen sink. You can store the supplies in a convenient, plastic container with compartments and a handle. Use one compartment for your multi-surface cleaner, dish soap, sponges or towels. Clutter on countertops, on the fridge or by the sink makes kitchens look untidy. Limit notes, papers or your children’s artwork that you may have hanging on the surface or on top of your fridge. Limit the number of appliances you have on the countertops and store them away in cabinets or closets. Organize your pantry and clean it out weekly. If you have tile in your kitchen, use a splash of bleach with your multi surface cleaner to clean the floors. This will clean them well, kill bacteria, brighten the floor and leave a cleaner scent. If you have wood floors, use white vinegar. 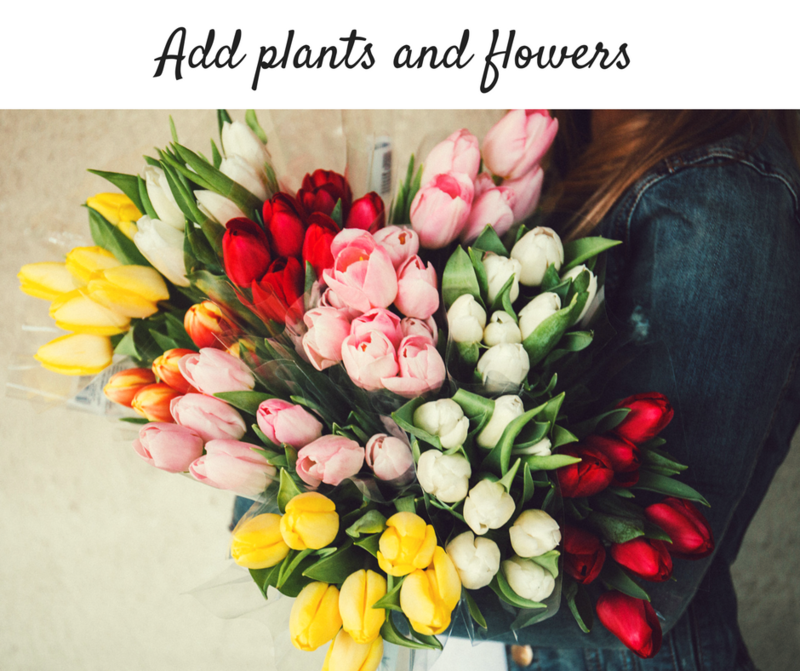 Green plants and simple, colorful flowers are not only nice to look at but also add more of a clean and inviting feeling to your kitchen. Many indoor green plants such as peace lilies, snake and spider plants release carbon dioxide and purify the air. After you are done washing dishes, always scrub down clean your sink with dish soap as well. You can also use ammonia or glass cleaner to give your stainless steel a nice, clean shine. Make sure you clean the disposal as well to prevent foul aromas. Keep your pantry neat tidy by organizing and storing foods in labeled containers. Throw out expired products and wipe the shelves daily. Keep counter areas wiped down and organized. Hydrogen peroxide mixed with water is known to zap stains from countertops, towels, surfaces and other kitchen items. Let it sit on the stain for a while and then scrub away. Clean and shine greasy grates from your stove by soaking them overnight in ammonia. No scrubbing is required, just rinses off after they have been soaked. Remember to not mix ammonia with other cleaners. The key to keeping your kitchen cleaner is being aware of what you are doing and cleaning as you go. Developing quick and easy cleaning habits will prove to keep our kitchens looking and feeling tidier. This guest post was written by Isaac Atia, author at 10BestRanked, an authority blog where he reviews home and outdoors products and gadgets. See his latest post about the best kitchen faucets on his blog.